Any kind of craft project with beads is fun. Making a keychain with beads can also be easy, and there are numerous ways to achieve your goal. You will have to decide which type of beads to use, what you will string them on and how intricate your pattern will be to obtain the desired results. Plastic lacing, fishing line, ribbon, string, elastic thread and yarn are good choices for bead crosses. Animals lovers will be especially pleased to know that according to Katie Hacker of Beadalon, faux leather and suede cord lace are better quality craft material than the real thing. Manually stringing beads is the easiest way to make a bead cross. 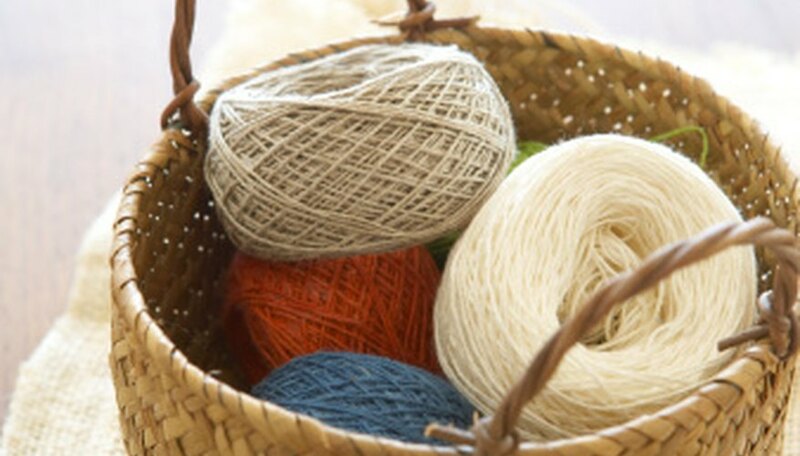 Combine the skills for crochet, knitting or macrame to your beadwork by stringing the beads onto the material before the needlework or sew them on afterward. See how creative you can be. Choose beads large enough for stringing material to pass through beads one or more times, depending on the ultimate intent. Beads come in plastic, glass, crystal, clay, stone, paper, metal, wood and even bone. 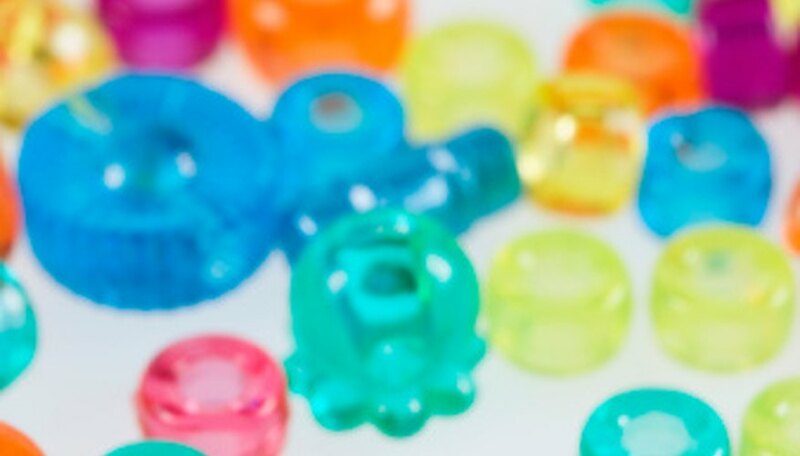 Plastic pony beads seem to be most popular and you will find them most anywhere craft supplies are sold. You can also purchase real or manufactured pearl beads. Within these various categories are different shapes, sizes, colors and qualities. 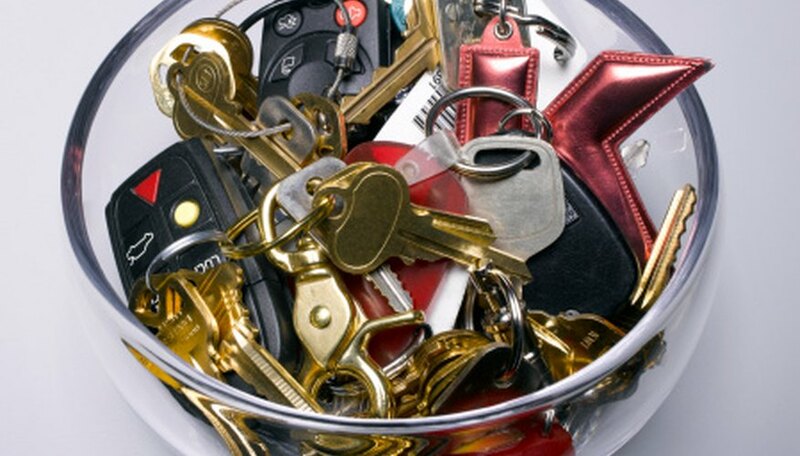 Budget and personal taste will dictate your choices; however, keep in mind that keychains receive a lot of wear, so think in terms of durable supplies for your task. There are alternate ways to create a beaded cross. For a wire beaded cross, cut two pieces of wire to the desired length with wire cutters, twist together in a cross shape with pliers, string the beads manually onto wire and finish by curling the ends, using the top hook to attach your keychain. (Additional pattern concepts can be found in the References section.) Keychains can be attached with strong jump rings, obtained wherever jewelry craft findings are sold. You might also attach them directly through a loop in the stringing material or just tie them in place. Craft merchants sell variations of the beaded cross keychain as a kit. Oriental Trading offers a kit that can be completed in minutes with only accent beads, but more complex kits are also available from craft suppliers. There are several plans for making the familiar pony bead cross using assorted materials and different numbers of beads. These include single and multiple row designs, open-center styles, one or more colors and of course different sizes. You will attach the keychain according to the material used, as explained in the previous paragraph. Here's a simple idea to begin with: You will need about 2 feet of stringing material, such as suede lacing, 11 pony beads and your keychain. String one bead to the center. Push the second bead over both strands of material and pull tight to the first bead. Add two more beads in the same way, forming the base of the cross. Separate the strands and add two beads onto each side. Push one strand back through the second bead from the end and pull tight; repeat with the other side. This forms the cross arms. 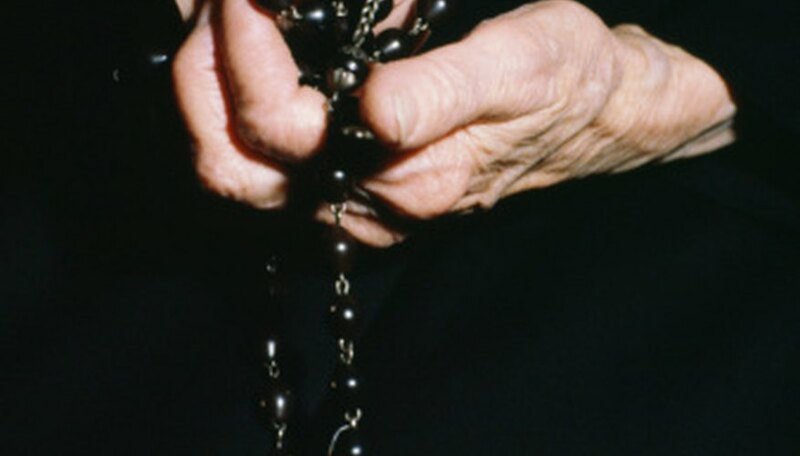 String the final three beads over both strands, completing the cross. Tie onto your keychain. Affix an extra bead to each strand and tie the ends to hold in place for an added feature to your keychain. A North Carolinian with strong family ties, Sherry Bell spends much of her time writing resumes as part of her employment recruiting business. She earned an Associate in Applied Science in business administration from Rockingham Community College in N.C.